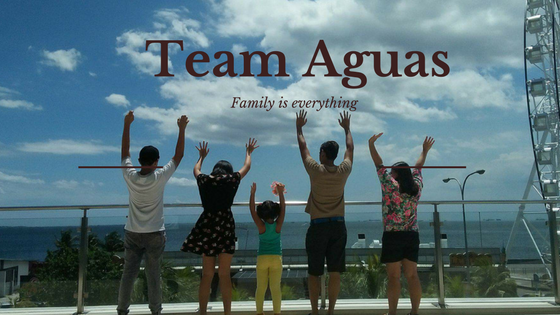 #TeamAguas: SM City Manila's 3-Day Sale 2013!! 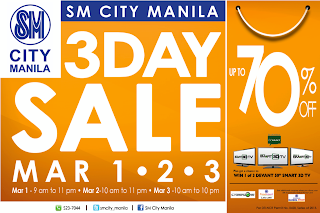 SM City Manila's 3-Day Sale 2013!! Get ready your shopping bags and head over to SM City Manila. For the 3-Day Sale till March 3, 2013 only. You can enjoy up to 70% off on selected items from fashion brands, beauty products, shoes, bags, and more! So what are you waiting for, It's shopping time!!! SM City Manila is also raffling off 3 Devant 50″ Smart 3D TV for shoppers. And everyone gets a chance to win shopping GCs by simply joining their contests! 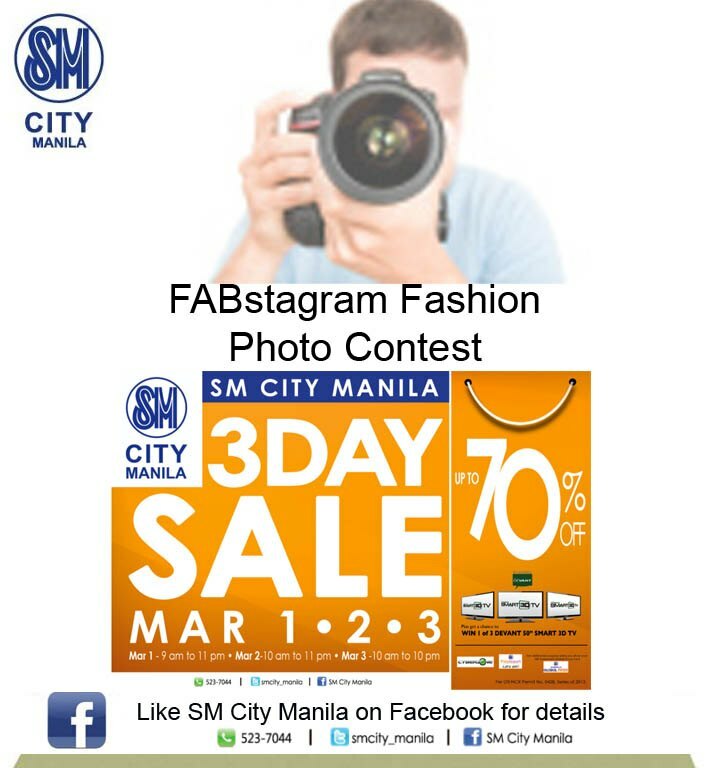 Also join the FABstagram Fashion Photo Contest . 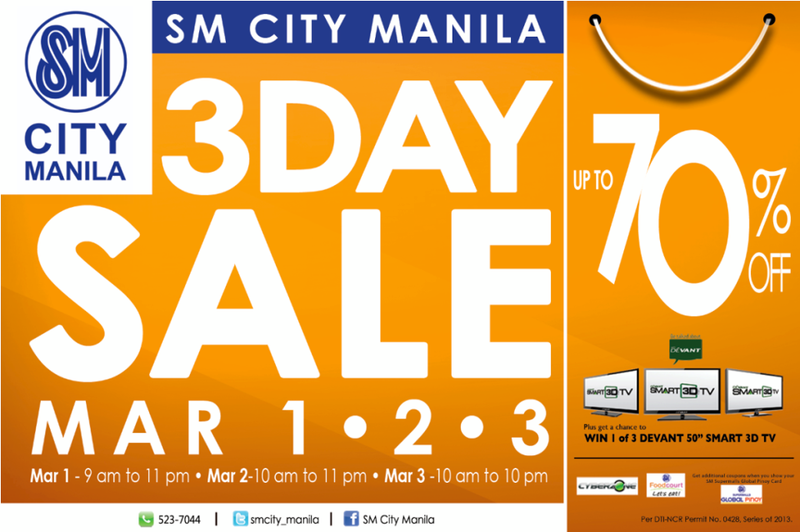 SM City Manila will have longer store hours throughout the 3-Day Sale: March 1 – 9am-11pm | March 2 – 10am-11pm | March 3 – 10am-10pm. Happy Shopping!! BagsGo, The Bag with a task! !